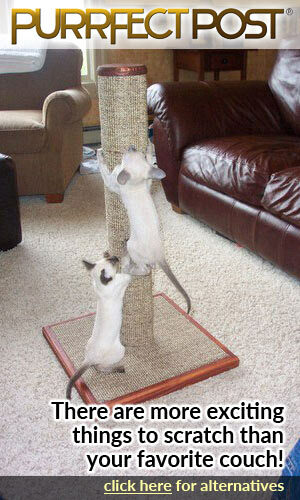 Cats love to chase and pounce. If you have had a fly or spider in your house then you will probably have seen your cats staring at these insects for hours and then trying to catch them. Well, the Lictin butterfly cat toy allows your cat to watch, pounce and chase a flying ‘insect’ without causing harm to a living animal. Whilst it is often great to spend hours playing with your cat as well. 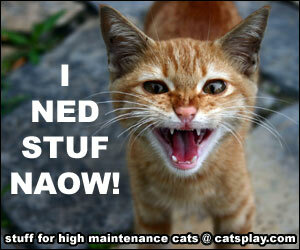 Sometimes our busy lives get in the way and if your cat wants to play and you need to work then what do you do? Well, this cute butterfly cat toy is completely automated. 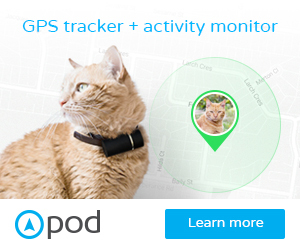 Just switch it on, step back and watch your cat start to play. Lictin Butterfly Cat Toy – Is It Fun? Well, actually it is a pretty fun toy. The butterfly is attached to a metal wand and this rotates through a complete 360 degrees. 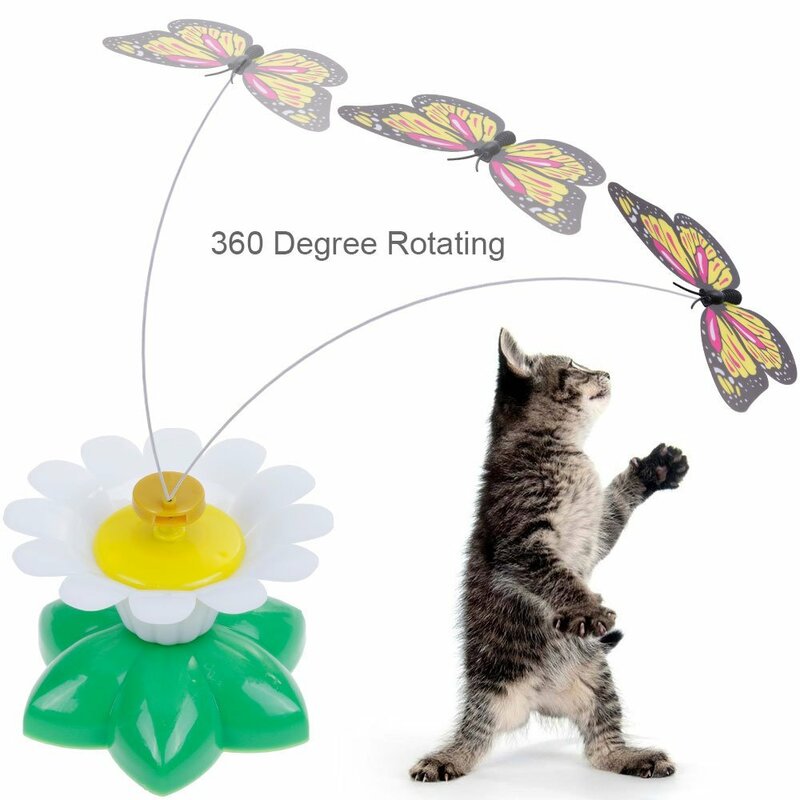 Making this even cuter, the actual base station of the butterfly cat toy is shaped like a large daisy. 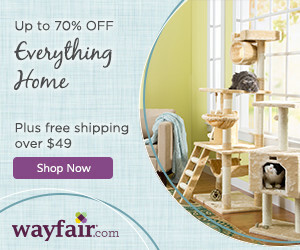 And if you have hard wood floors then this cat toy also has skid free feet – so it should stay in one place. Getting everything set up is pretty simple. The leaf area of the daisy holds the 1 AAA battery that is needed for this to operate. Just pop the battery into the green leaf-like area. 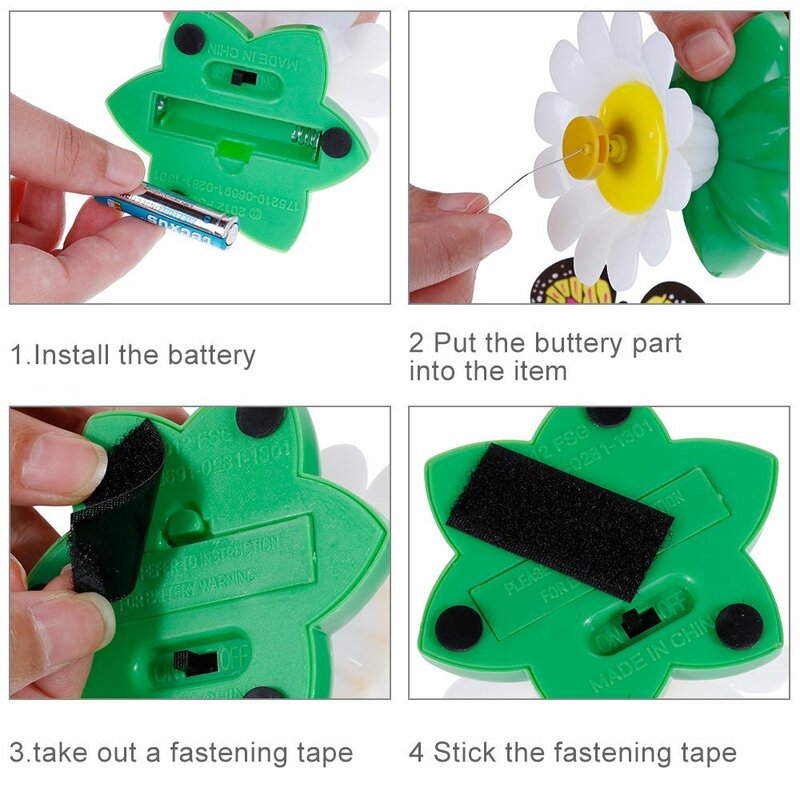 Put the battery area onto the daisy flower and then stick the fastening tape to the back of the battery compartment. This is very much a cheap and cheerful cat toy as you just get one on/off switch and there are no settings to be able to alter the speed of the toy. However, this simplicity is balanced by the low price for this toy. Automatic cat toys are usually rather expensive but this is definitely not expensive. Even though the butterfly cat toy is cheap and cheerful it is a lot of fun. Just switch it on and the butterfly starts rotating through its 360-degree path. And because it is attached to a wand it also jiggles around as it travels. 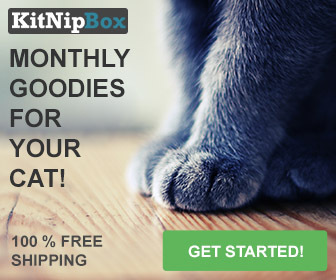 This movement will really attract the attention of your cats. And even if they are wary at first, pretty soon they will be more interested in this toy than the fly that just flew into your house. Is the Lictin butterfly cat toy perfect? Well no, I can definitely say that it is not perfect. It does seem to be cheaply made but for the price, this is not such an issue. The wand does seem a little flimsy though. 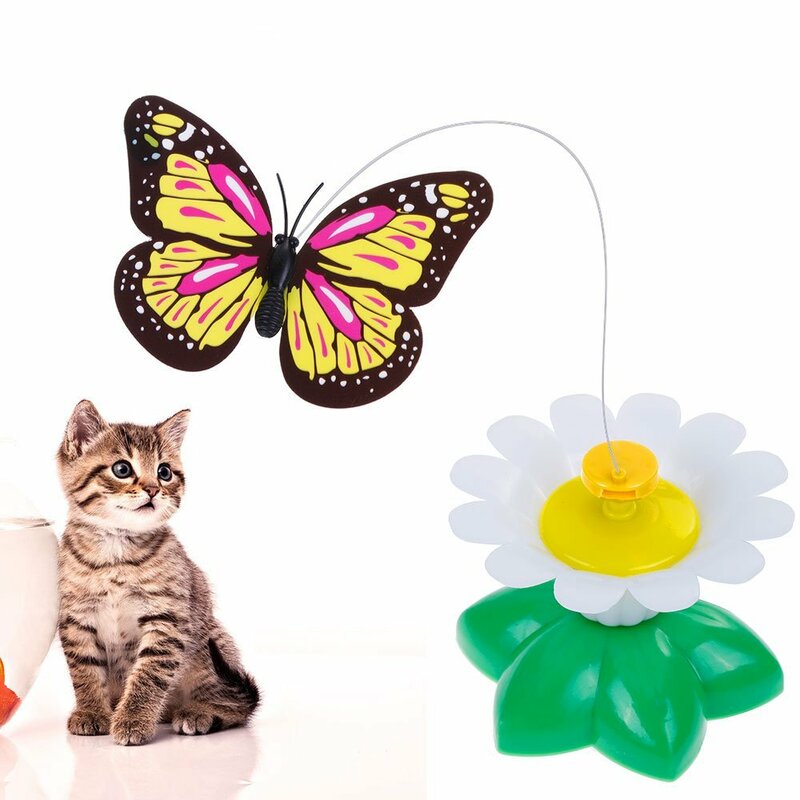 Overall though if you are looking for an automated cat toy which does not break the bank then the Lictin rotating butterfly cat toy might suit your needs.